This isn't the championships yet but it was such a good game that I want to dedicate a blog post to it! 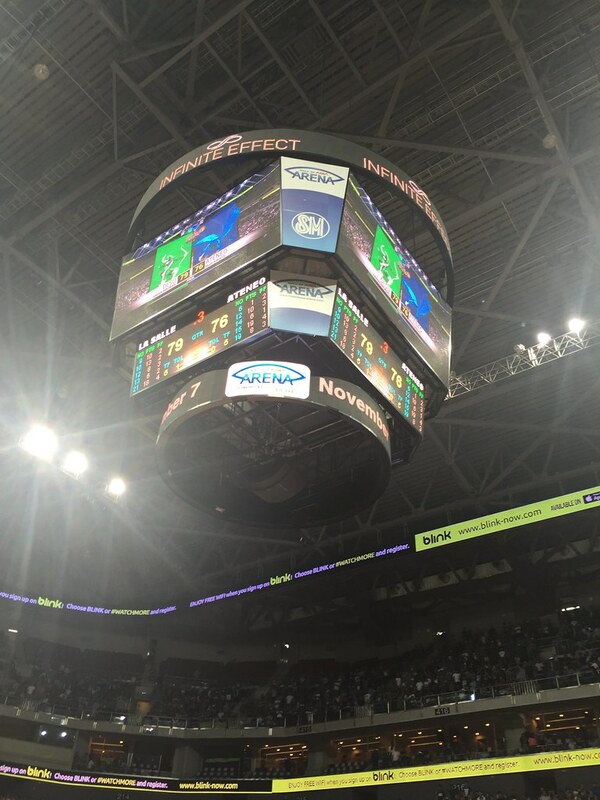 Last Sunday, the De La Salle Green Archers faced the Ateneo Blue Eagles for their last game in round one of the eliminations. 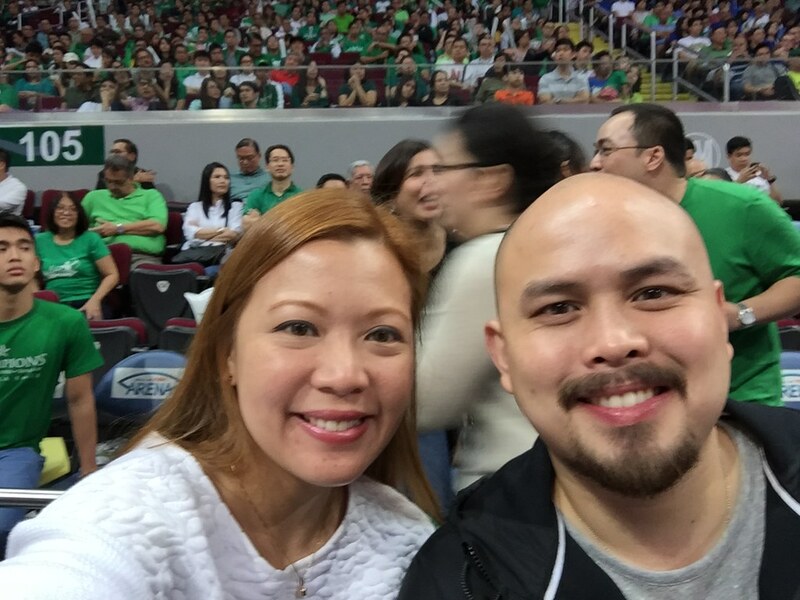 I thought T and I were going to miss most of the game because it was so traffic in EDSA and even around Mall of Asia. 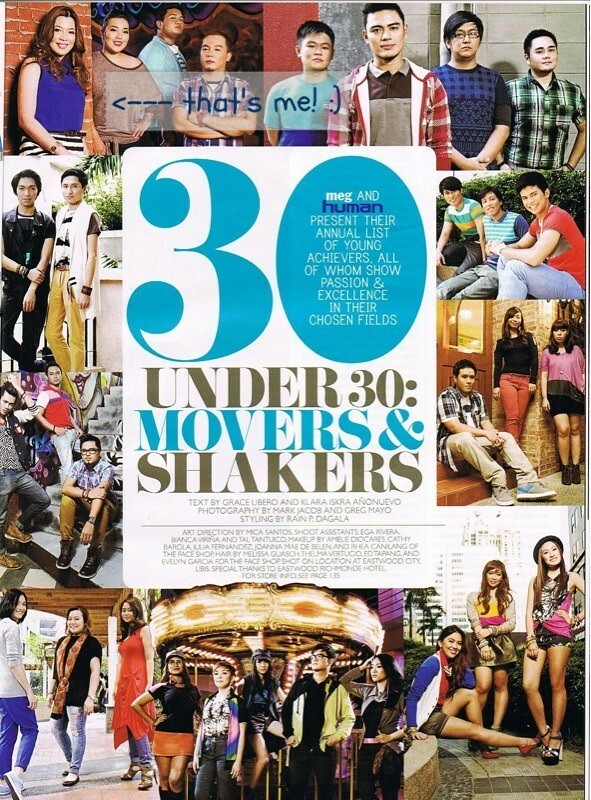 We parked at the open lot in front of E-Com (ang layo!) because we expected that parking near the MOA Arena was full already and just ran in the rain! Poor T.. He wasn't feeling well but he still gave me his hoodie so I wouldn't get wet. So come the game, T didn't have much energy anymore. 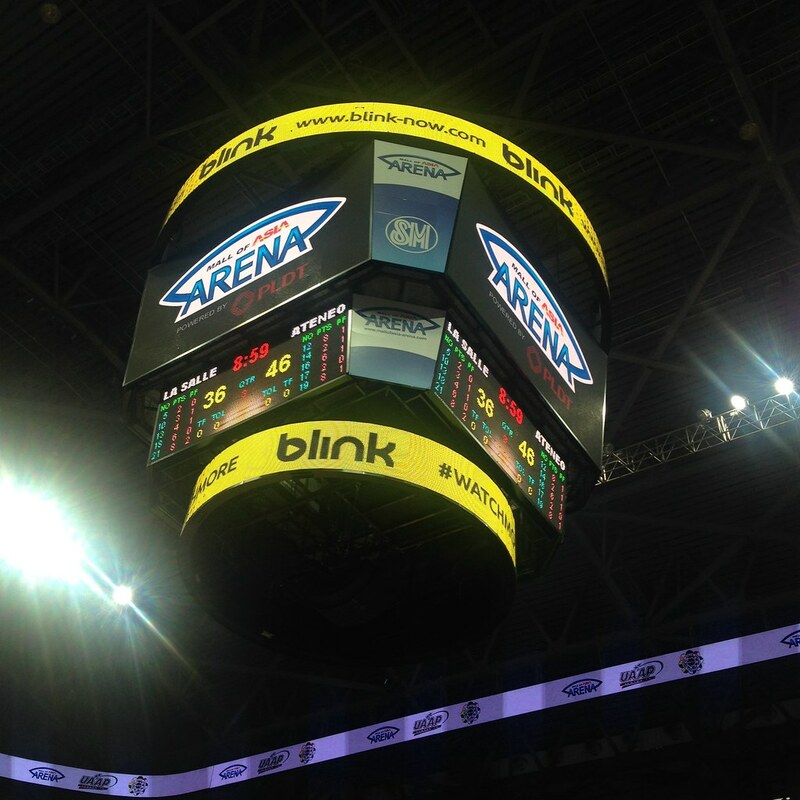 When we arrived at the Arena, it was already half of the second quarter. 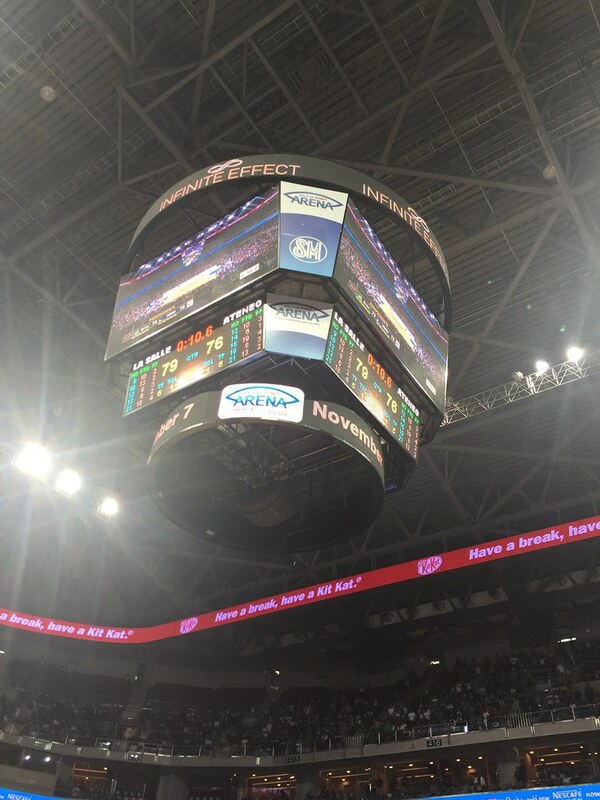 The whole time, Ateneo was leading by a lot! 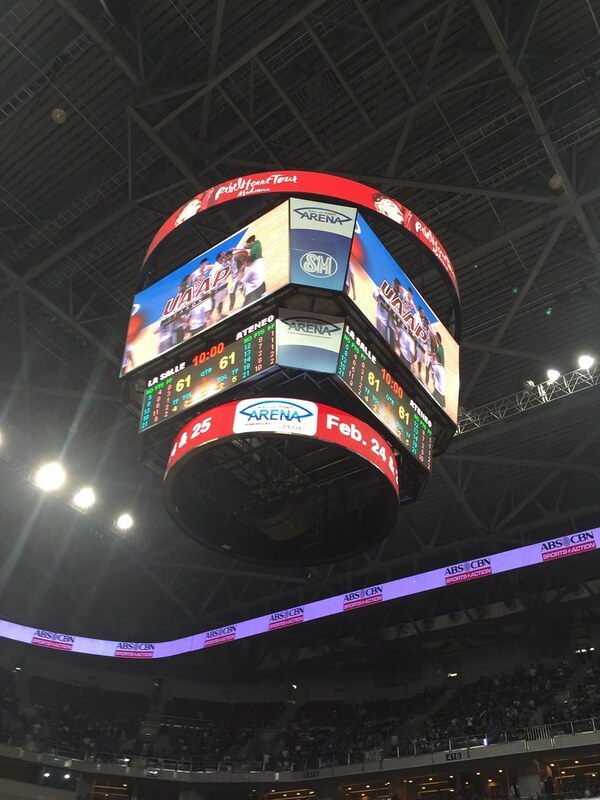 The second quarter ended at 36-46, in favor of Ateneo. 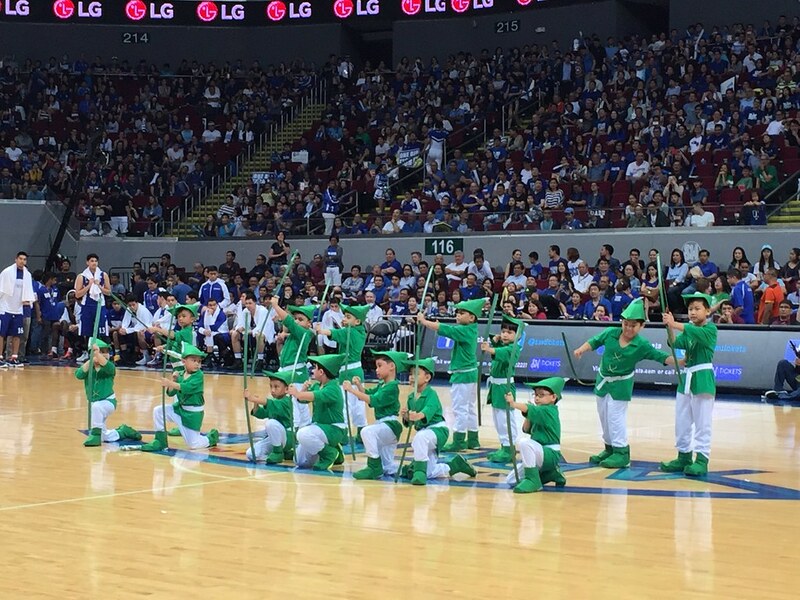 During half time, the Ateneo Blue Babble Battalion performed first, followed by the DLSU Animo Squad. I thought the performances were finished already when these cute little Archers ran to the court and threw giveaways to the crowd. So cute! 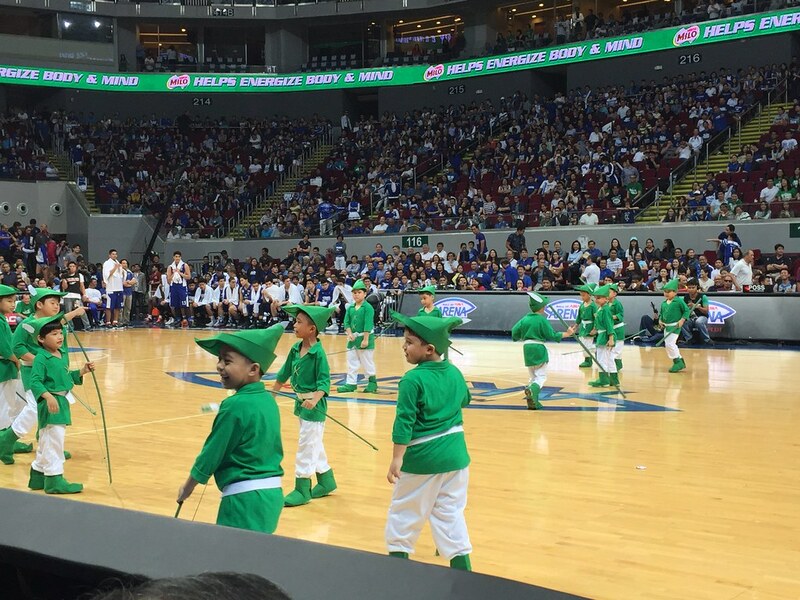 After their performance, the kids gave the DLSU players high fives. 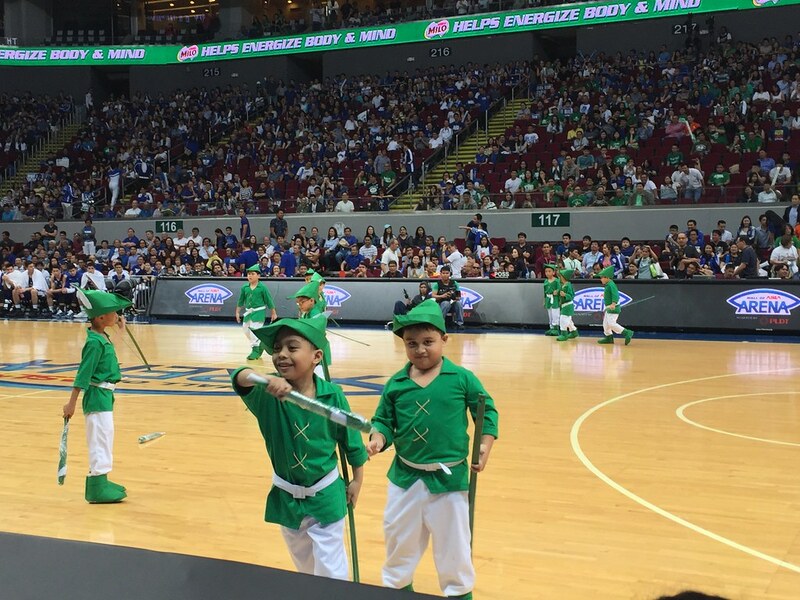 I think they were our lucky charms because DLSU finally took the lead in the third quarter! At the end of the third quarter, the score was tied at 61. It was anybody's game. During the fourth quarter, both teams hustled for the ball and the crowd from both schools went wild! Less than two minutes to go and the score was still tied at 74. What a nerve wracking game! Then someone fouls Kiefer Ravena while he was shooting a three-pointer (actually it didn't seem like a foul when it was replayed) and I thought.. This is it. Ateneo's going to win this. 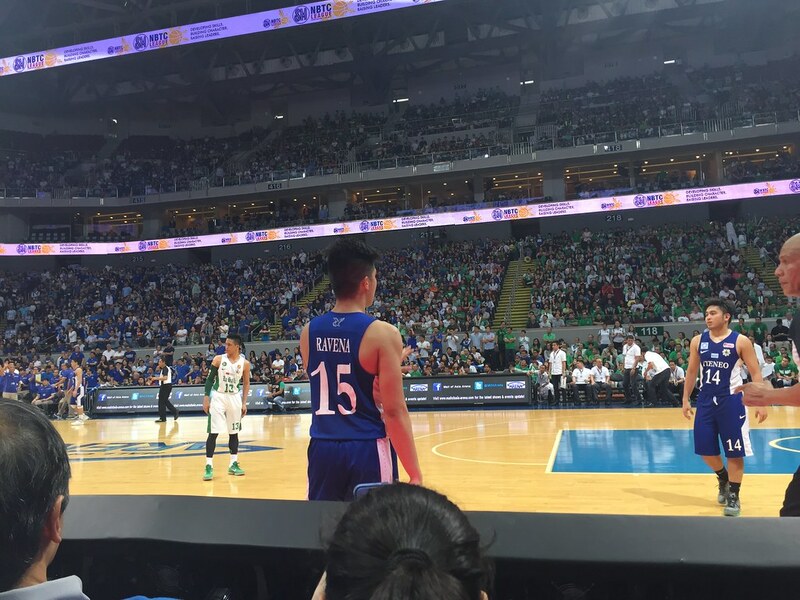 Althooouuugghhh something didn't feel right when Kiefer went to the free throw line. I had a gut feeling he was going to miss one.. but to actually not make free throws?? Wow. 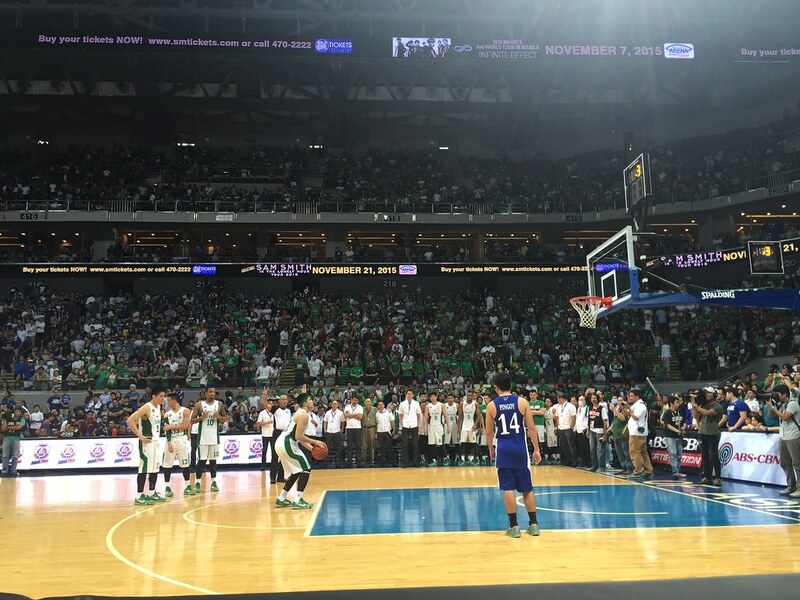 On the contrary, Jeron Teng made his free throws during the last few minutes of the game, when it mattered. 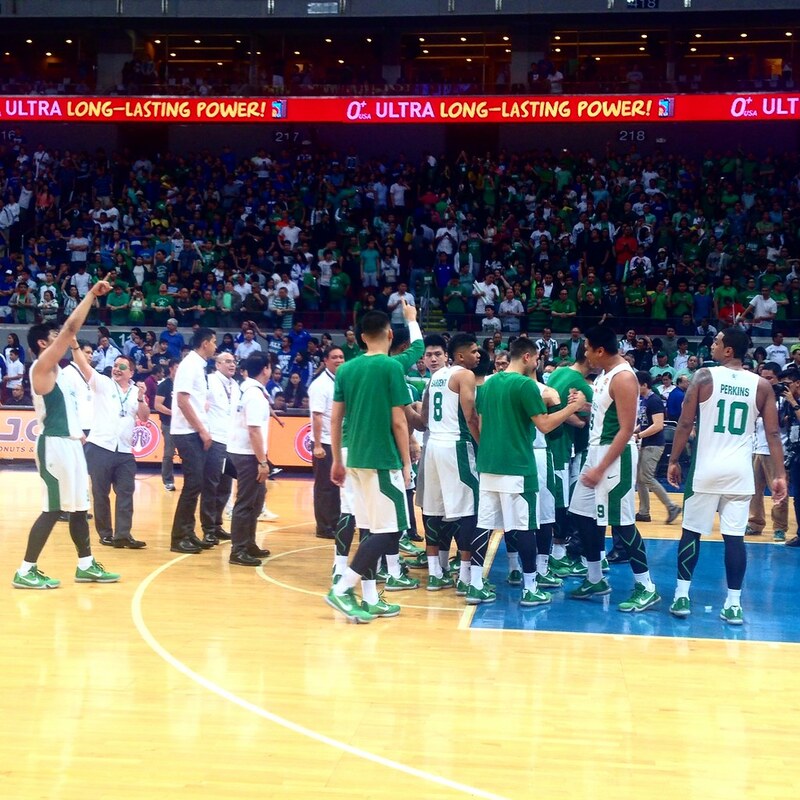 Ten seconds left and the score was 79-76, in favor of DLSU. Those three free throws would have made all the difference. 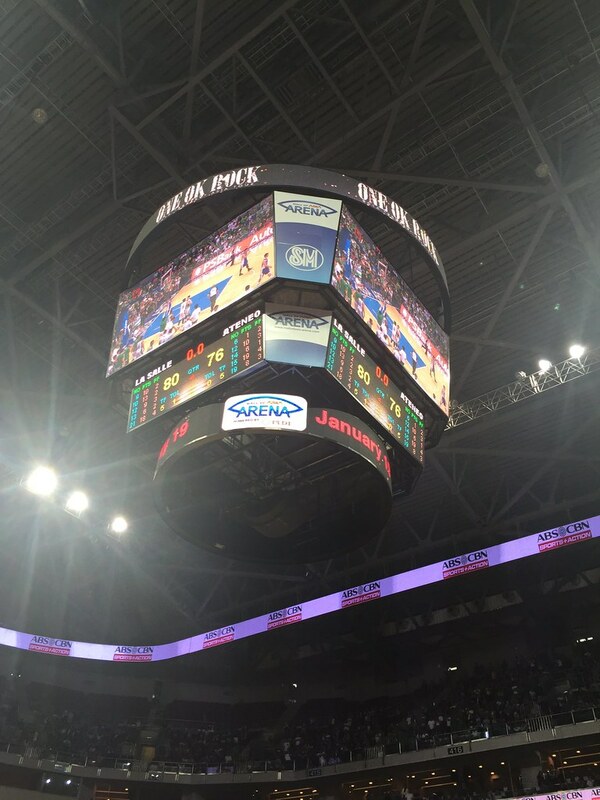 I felt bad for Ateneo! 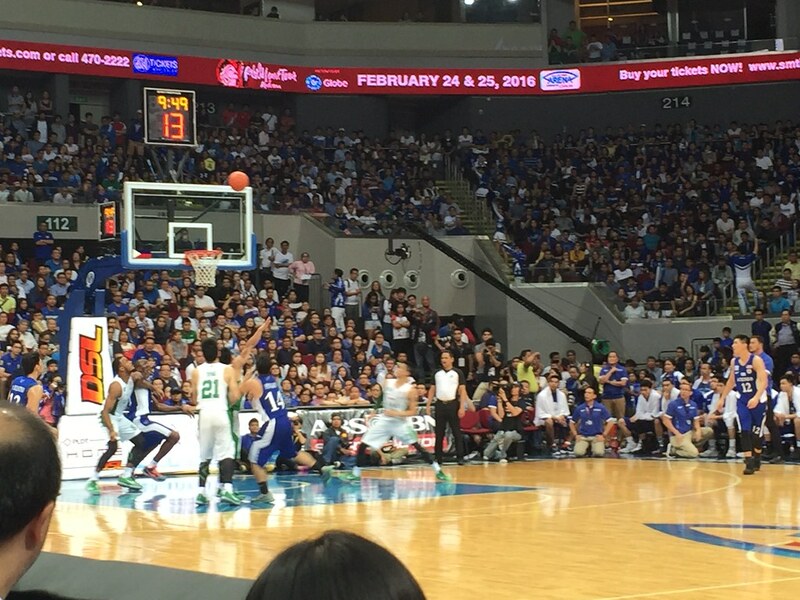 For their last play, Kiefer Ravena tried to shoot a three and to get a foul while doing so, but it was too late. 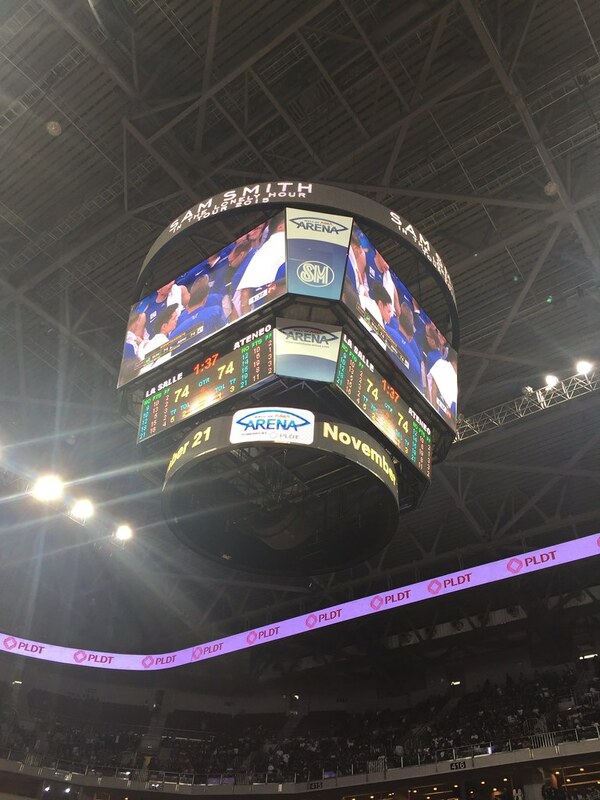 Everybody from the La Salle side was already rejoicing but apparently there is still .3 left on the clock and Ateneo fouled, so DLSU still had free throws to shoot. 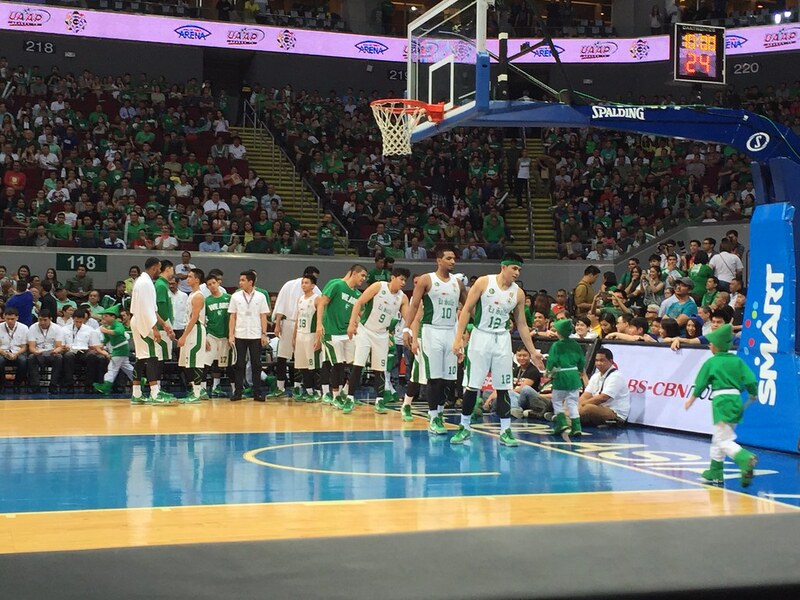 DLSU made one free throw out of two. And the final score was 80-76. It's official.. La Salle won! And never shall we fail. Hail to thee our alma matter.. Hail! Hail! Hail! Just a bit of trivia about us.. 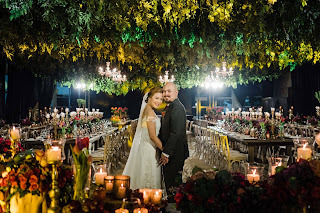 I'm actually a 'mixed breed' having spent 17 years of my life in La Salle and 4 years in Ateneo while T is a full-blooded LaSallian and was even part of the basketball team during his early years in the university.